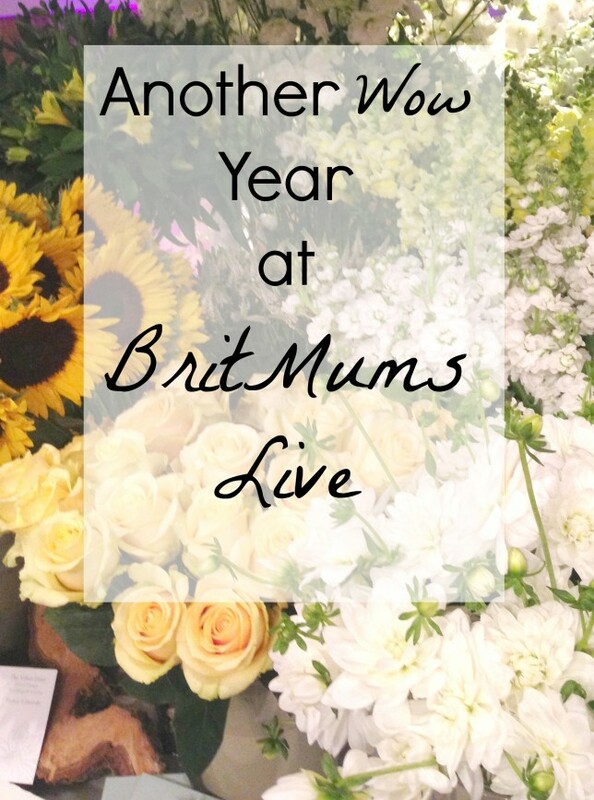 Blimey what a difference a year makes, I remember attending BritMums live last year a new blogger full of blogging hopes and dreams, I hardly knew everyone and found BritMums Live a little like an encouraging warm hug. It all felt so glam and exciting, yet friendly. As soon as the early bird tickets were out I re booked, so excited about the year ahead. All year I have excitedly planned and chatted with friends about meeting up and spending the weekend in a blogging bubble. Last weekend the big moment finally arrived, my self and my lovely friends Lisa and Katie set of on the train to London, this year was going to be so different, why? Because over the year I had met some incredible friends and we were all meeting up to enjoy the conference together. The atmosphere, BritMums still felt just as exciting this year, it is so friendly. I love the fact that no matter what level a blogger is they take the time to say hello and chat. Honestly the generosity of some people is astounding, the fact that bloggers don’t mind giving you hints and tips to help you improve your blog. The attitude of most in the blogging community is that there is enough room for all of us, and I love that. I can’t believe I played part in a Guinness World Record, yes you read right. We were involved in the most Mummies to be wrapped in 3 minutes. I was a mummy ha ha, to be honest it’s not as easy as it looks, being a mummy is a huge responsibility. All the mummies once wrapped had to stand to be adjudicated and it felt to take forever, I stupidly held my arms up whilst the lovely Lisa and Jenna were wrapping me, it was agony holding that stance for what felt like hours, but it was worth it we beat the current world record by 1. That was something I did not expect to bring away from the event. Lucy Heaths’ session on styling was genius, I love how she is able to keep a session interactive, and it gave me some great ideas. I left feeling so inspired. 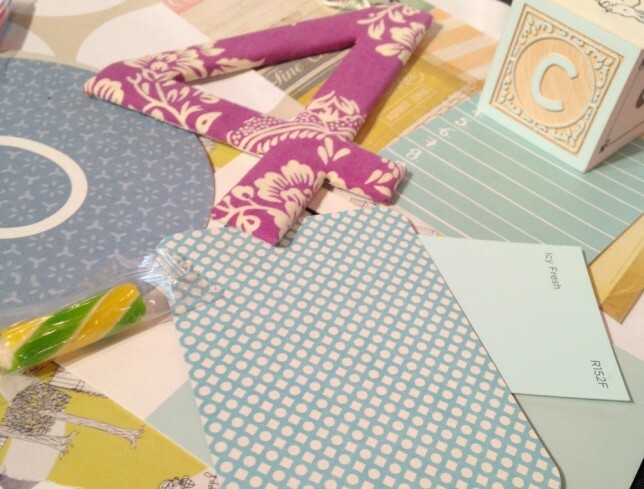 She turned blog design into a craft mood board session. It was fantastic; through mood boards she demonstrated how blog design could be so simple. My favourite session of the weekend was the Pinterest session it was incredible. I literally could have burst during the session it made Pinterest make so much sense, all the exciting opportunities that are available. How to make it work for you, I loved the session and couldn’t wait to get home and get pinning. The Bibs, it was incredible to see the fantastic bloggers nominated and have a few great friends in the finals. Congratulations to all of the finalists, and the winners I was on the edge of my seat during the awards. It must have been so hard choosing the winner out of such a talented bunch. There were some great brands were to chat with, it is great to get the time to chat with PR’s and get their perspective. Generally PR contact is via email, so it made such a refreshing change to actually speak to a PR about a brand, and how they work. Spending time with my blogging besties was just wonderful, we had so much to chat about, laughed and cried together. I am so lucky to have made such a wonderful group of blog friends. The keys note speakers, what a line up Victoria Wright and Ella Woodward were so inspirational, and Carole Smilie and Caprice had me in stitches. They were all wonderful women who had great stories to share. Another year is over, it has been emotional, I have laughed, cried at times felt so overwhelmed, and at others been inspired. I have learnt too much. But one thing is for sure; I can’t wait until next year. It was lovely to finally meet you, although it was too brief! BritMums is such a whirl. Must catch up again at the MADs if not before!